This activity is bound to create some hilariously epic memories. 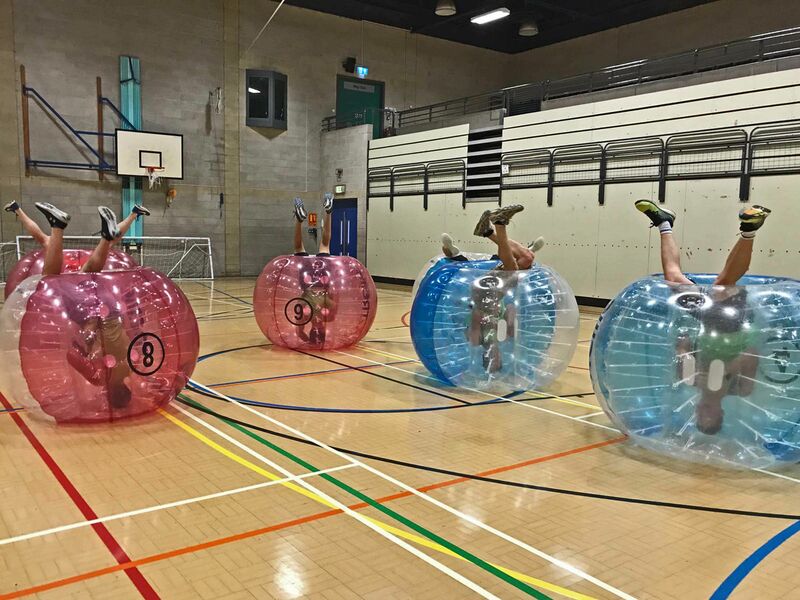 It is the perfect kind for a stag do if you’re after something a little different then the Oxford zorb football stag do is for you. 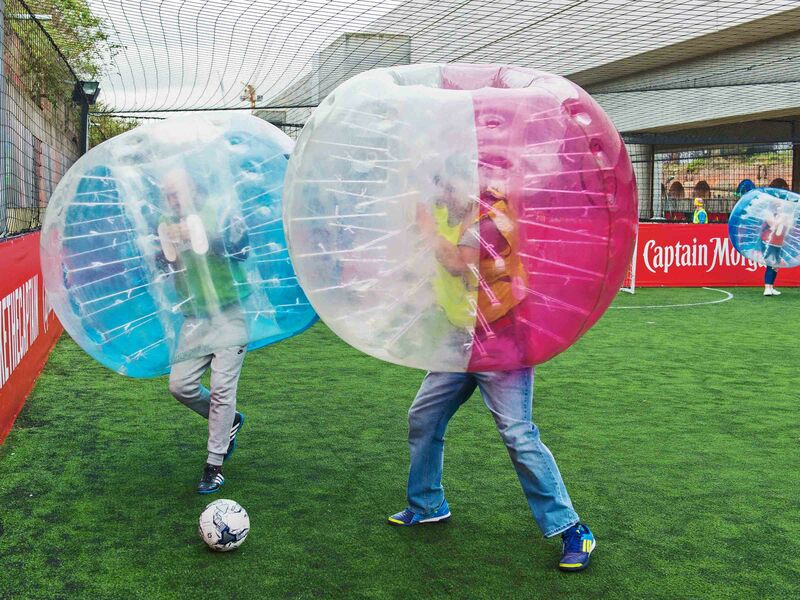 Although it is a quiet town, Oxford is full of activity based and nightlife gems that are perfect for a stag do, including the bubble football. 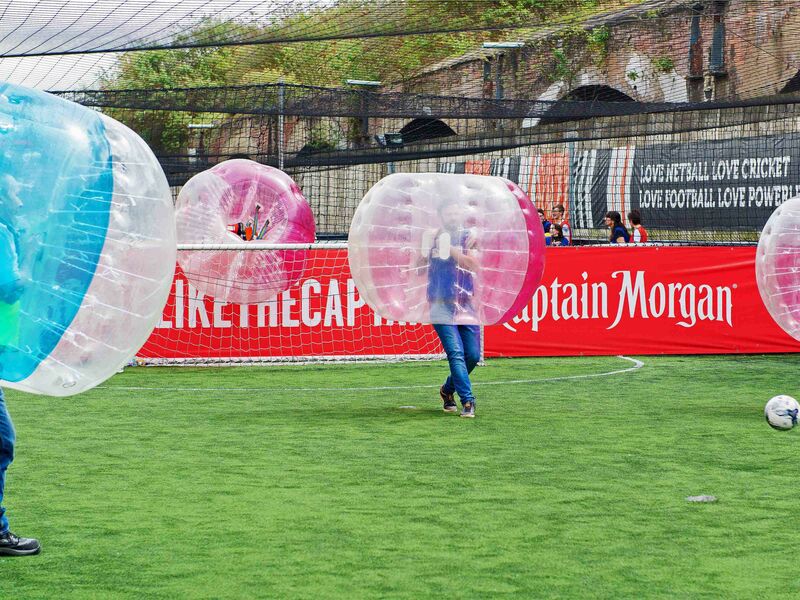 stag do bubble football activity cuts out the worst part about a stag do – the planning! This activity has everything done for you as all the equipment you need for the day will be provided. 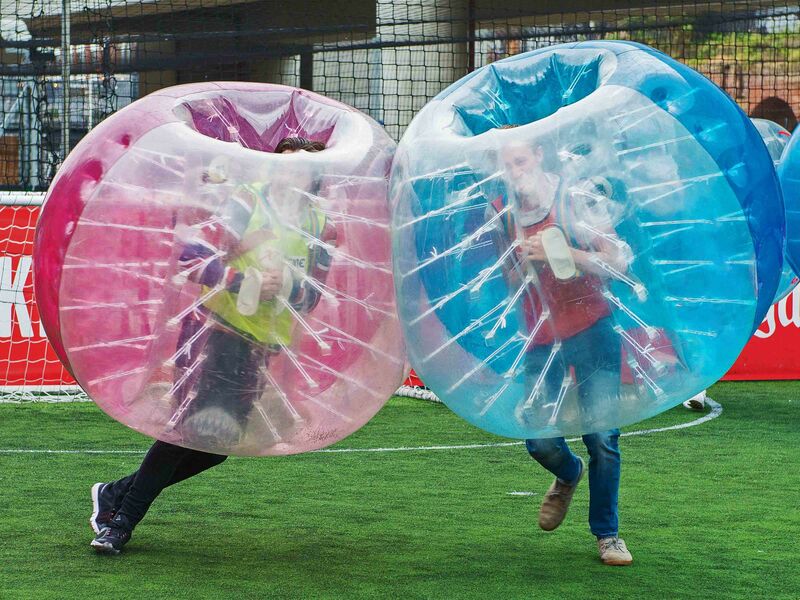 On the day, an events co-ordinator, footballs, team bibs and the zorbs will be at the ready for you to make some fantastic memories with the lads. A lot of our venues offer changing facilities, as well as a small bar where you can grab a cheeky beer before you head off for the evening. referee to take score and kick off any disorderly players! As well as a few kick about, there are some mini games to test your zorbing skills including Bulldog and Last Man Standing. This beautiful, unique and historic town is brimming with array of pub, bars and clubs as well as delicious restaurants, cool cafes and takeaways all in and around Oxford city centre and only a short trip away from London, so a kebab on the way home is definitely on the cards. It’s safe to say Oxford is an excellent choice for an unforgettable stag weekend. 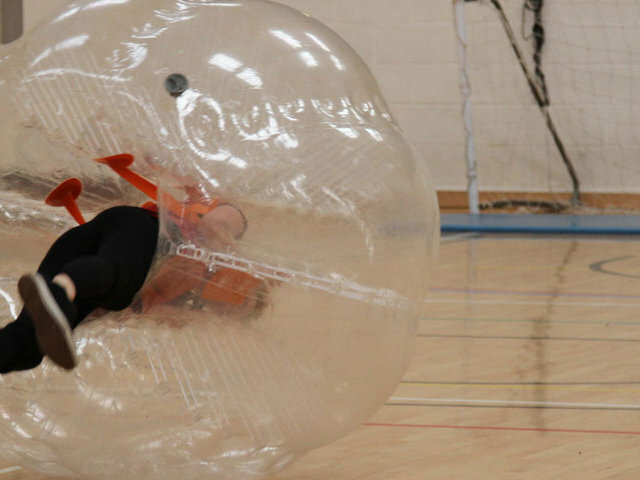 An Oxford zorb football stag do is the best way to celebrate the stags last night of freedom, guaranteeing a day filled with laughter and bloody loads of banter. It’ll be the most ridiculously fun hour and will make amazing memories that you and the boys will remember for the rest of your lives. So what’re you waiting for? 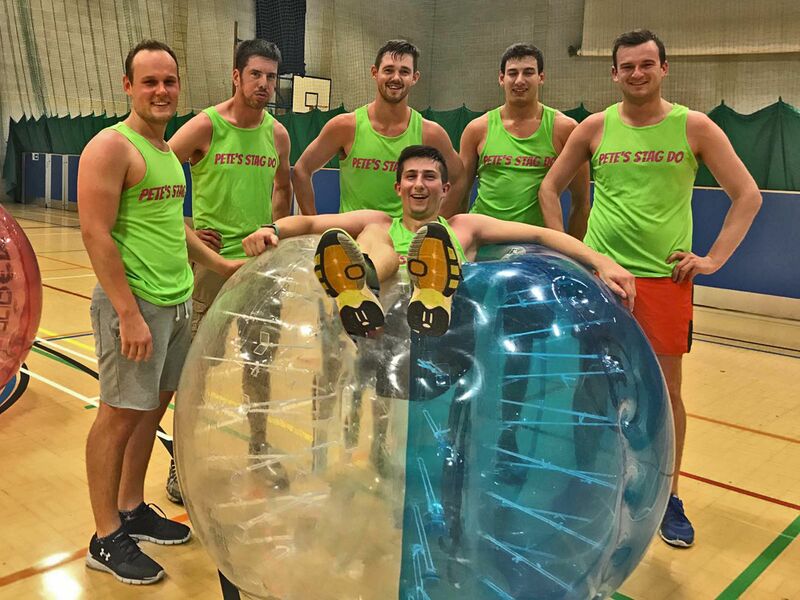 A challenging & fun 2 night Oxford Zorb football stag weekend offering a helpful local bar guide, Zorb football ­activity ­and nightclub ­entry.